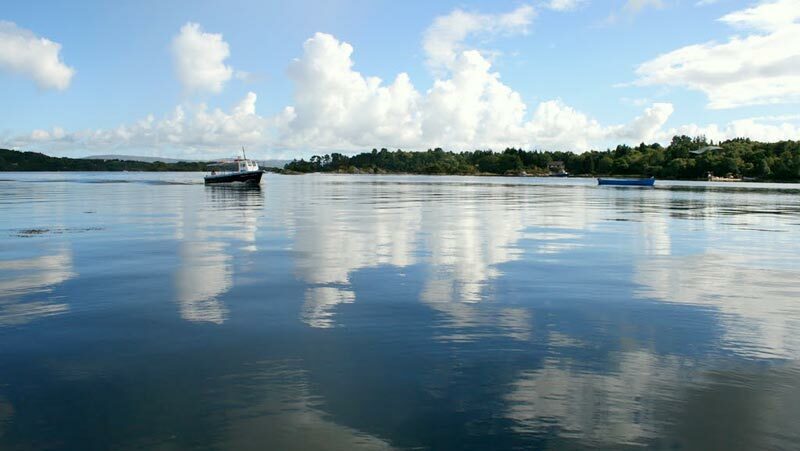 Just a half hour drive from your accommodation at Bellatrix, in the sheltered harbour of Glengarriff, Bantry Bay you will come across the most amazing little Island off the shores of Ireland. Ilnacullin is a small 37acre island which is know to tree lovers, horticulturists and garden enthusiasts from all over the world. 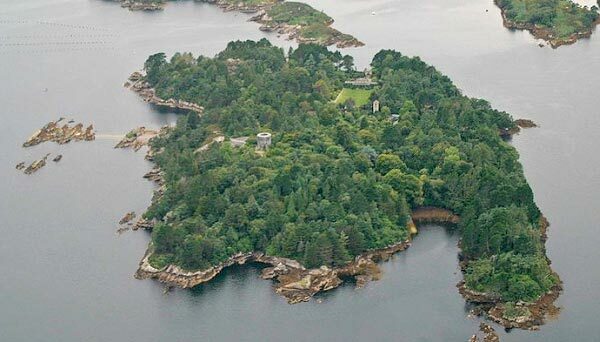 The island was given to the people of Ireland in 1953 and is now in the care of the Office of Public Works. The island is open to visitors each day from 1st March to 31st October. You can get to the island by privately operated boats and there is a real sense of adventure or pilgrimage as you make this journey. The island which is called Garinish meaning near island is renowned for its elaborate plants and trees and changes dramatically with each season. May and June are the best times to visit if you want to see the Rhododendrons and Azaleas at their best. They create a blaze of colour and the scent from some of them is incredible. June to August you will find that the hundreds of cultivated climbing plants herbaceous perennials and shrubs come into their own. In Autumn the colours on the island are magnificent especially on the heather bank. The winters here are mild with only light frost, the climate of the island is almost subtropical as a result of the Gulf Stream and because of this, ornamental plants from around the world can be grown. For those visitors who may not be as interested in plant life, there are incredible scenic views from the island. The surrounding waters are rich in wildlife. Common seals can be seen basking on the rocks as you approach the island and the captain of the boat will make a detour to the island for visitors to get an up close and personal look at them. The seals live here in large numbers and can’t be missed. The island itself is made up of three main areas. 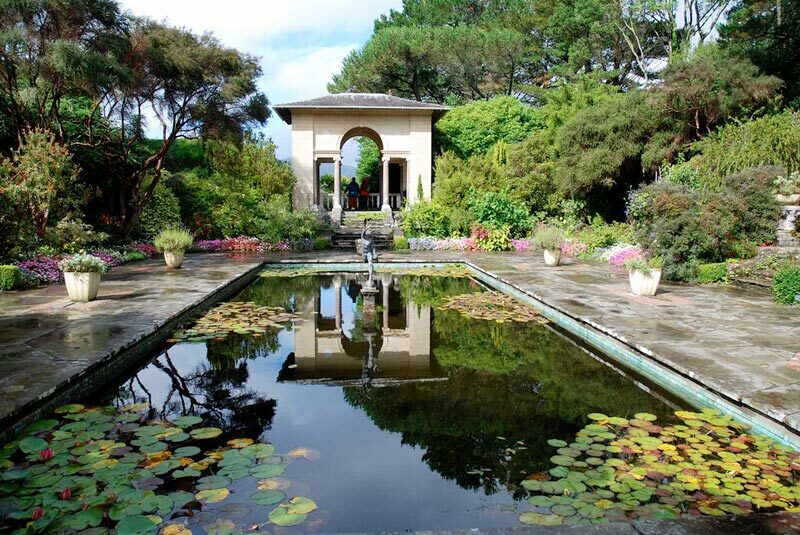 There is the graceful and very stylish cultivated Italian garden with a little pool and Temple, there is the natural wild environment of the woodland and rhododendrons and azaleas and then there is the walled garden which comes alive in mid-Summer. The island is laid out in such a varied way that you really feel you are on a journey of discovery. There is a guided trail with thirteen numbered stops along the way. Take your time and enjoy the journey!